How will you strengthen and celebrate the robust spirit of philanthropy in the Hudson Valley? 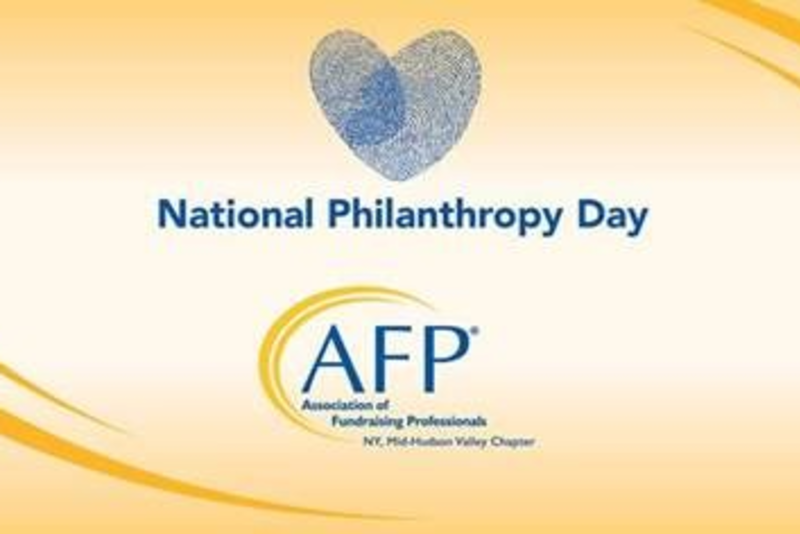 Each fall, the Association of Fundraising Professionals Mid-Hudson Valley Chapter (AFPMHV) gathers leaders, board members, community volunteers, philanthropists, and fundraising professionals for a day of education and celebration at National Philanthropy Day. This year, you're invited to join in the celebration! Will you be a part of this important event? Your partnership helps ensure that we raise critical funds to offer member scholarships and fund educational offerings for the Chapter. Sponsor: Local businesses and organizations are invited to participate in one of the most valuable year-end collaborative marketing opportunities. Sponsorship opportunities are available at various price points, meeting the needs of diverse organizations and marketing budgets. Please see the attached information for full sponsorship information. Promote: Join us as a vendor and promote the work of your business to a room of fundraising professionals. Vendors pay a flat fee of $100 to reserve your space and receive a complimentary 1/4 page black-and-white ad in our event program. Space is limited - reserve your spot today! Advertise: Program ads are available for purchase to support the event. Attend: CEO's, Executive Directors, Board Members, and fundraising professionals are invited to purchase tickets, on sale now. Breakfast-only pricing, as well as discounts for AFPMHV members will be offered. Click here to purchase event tickets. Sponsored by: Dutchess Community College Foundation, Inc. Sponsored by: Advancement Communications, Inc.